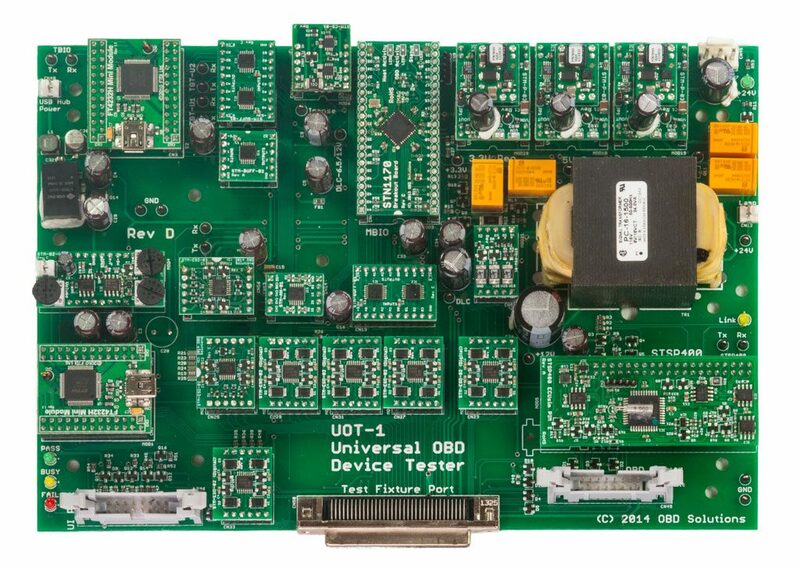 The Universal OBD Tester (UOT) is a customizable, scriptable production line test system designed for high-volume manufacturing of OBD-enabled devices. Having the ability to quickly and accurately test your product on the assembly line is vital to the success of any high-volume project. 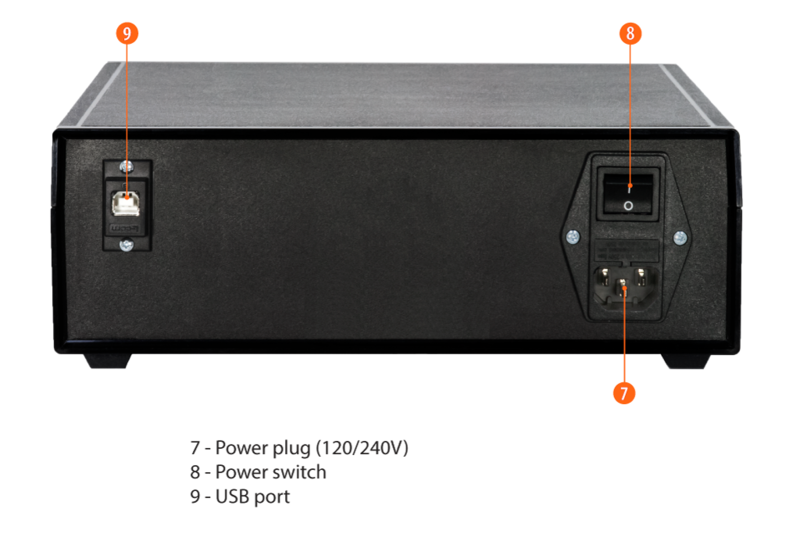 The UOT can be used for both board-level and final quality control testing, and is capable of automatically measuring dozens of parameters, performing stress tests, identifying defects and pinpointing their cause down to individual components or manufacturing operations. 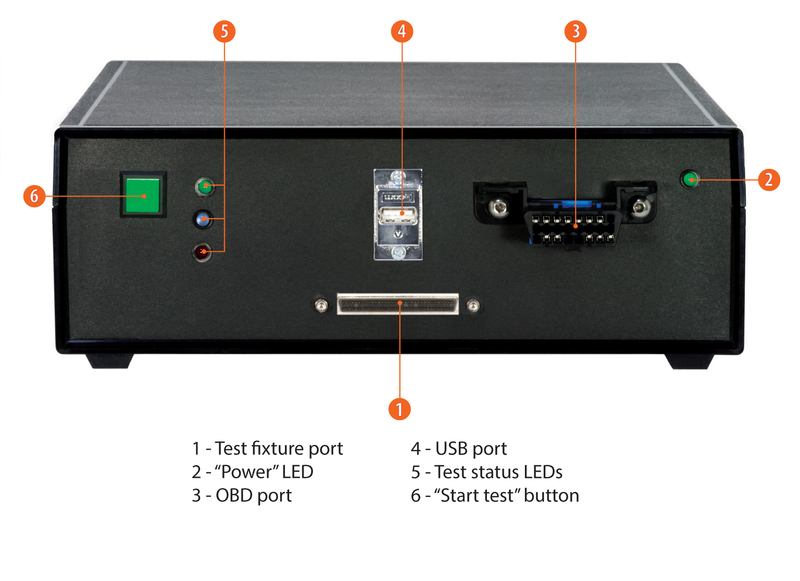 The Universal OBD Tester is typically used in conjunction with a test fixture, controlling the device-under-test (DUT) via the built-in UART, Bluetooth, Wi-Fi, or USB interface. The C#-based script engine makes it easy to write and edit custom test scripts, and the API enables simple integration with your existing test software. Shown with optional test fixture and Windows PC (not included).